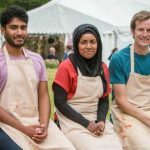 Home » Odds & Sods » What is The Great British Baking Show’s recipe for success in America? 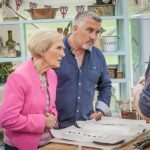 What is The Great British Baking Show’s recipe for success in America? Downton Abbey excluded, the most popular UK telly import these days may very well be The Great British Baking Show. 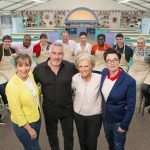 Reports of how a growing number of Americans ‘decompress’ by watching GBBO, reminds me of the same effect decades ago that Bob Ross’ Joy of Painting had on an audience that neither keen on painting for a living nor as a hobby but more interested in ‘civil’ telly in a sea of screaming, back-stabbing wanna-be celebrities as evidenced by a 2018 tweet by best-selling author, Delilah S. Dawson. The series has become so much a part of the pop culture landscape that Americans are creating themed parties with their very own baking tents! 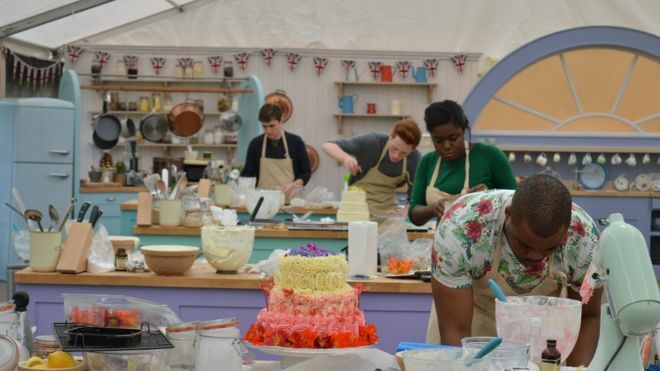 The Great British Baking Show is now part of US culture. So much so that The New York Times has run a translation guide. “Stodgy is bad, scrummy is good, gutted is bad,” it explained. Not only that, Saturday Night Live has spoofed it; The Late Late Show has broadcast its staff bake-off and The Daily Show has used it to explain Brexit, calling it the Great British Break-Off. From rural Alaska, Laura Sampson got hooked on the series as she watched contestants tackling a stuffed suet pastry. Since September, Laura has been running a Facebook group for fans of the series based in the US. Establishing a ‘politics-free’ zone, Laura gives tips on converting measurements in the show to the US equivalents, and then posts a weekly challenge, allowing fans across the country to come back with pictures of their creations. 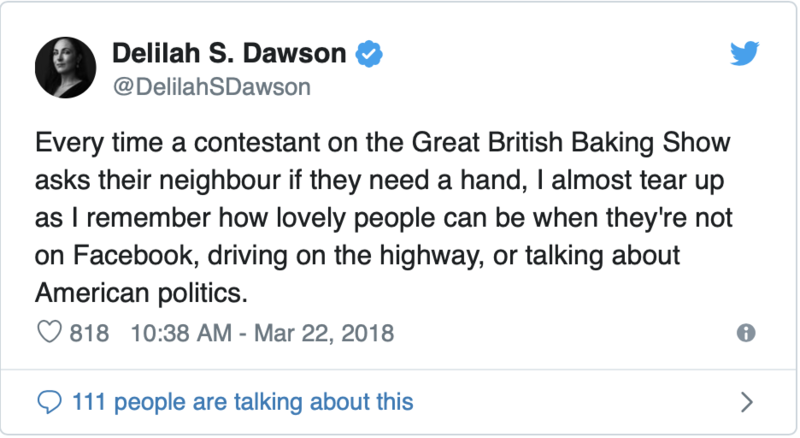 In a nutshell, The Great British Baking Show has one primary ingredient – civility. Add a dash of solace and a pinch of camaraderie amongst contestants and you have a recipe for success in today’s upside down world. 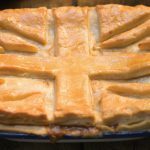 Happy National Pie Day 2017, America, as we look ahead to British Pie Week! 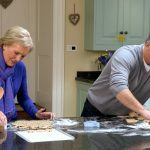 PBS to get the British Baking Show band back together for an Easter Masterclass! 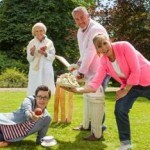 UK’s ‘The Great British Bake Off’ headed to PBS!